Where does music fit into the scope of human living? What (kind of) value does music have in that place? It’s one thing to dive into a new song knowing that everyone has their own opinions about how music could or should sound, the way an artist portrays themselves and their music in visual form through music videos, or even the lyrics themselves – particularly if the words chosen touch on socio-cultural niches or controversial vernacular. It’s another thing however, when a song at hand is decidedly on record as being confessional in nature and recounts connection to true life events in either very specified detail or is explained by the artist in question to be about recovering from difficulties posed by a widely recognized scandal that’s followed by the general public over a long period of time. 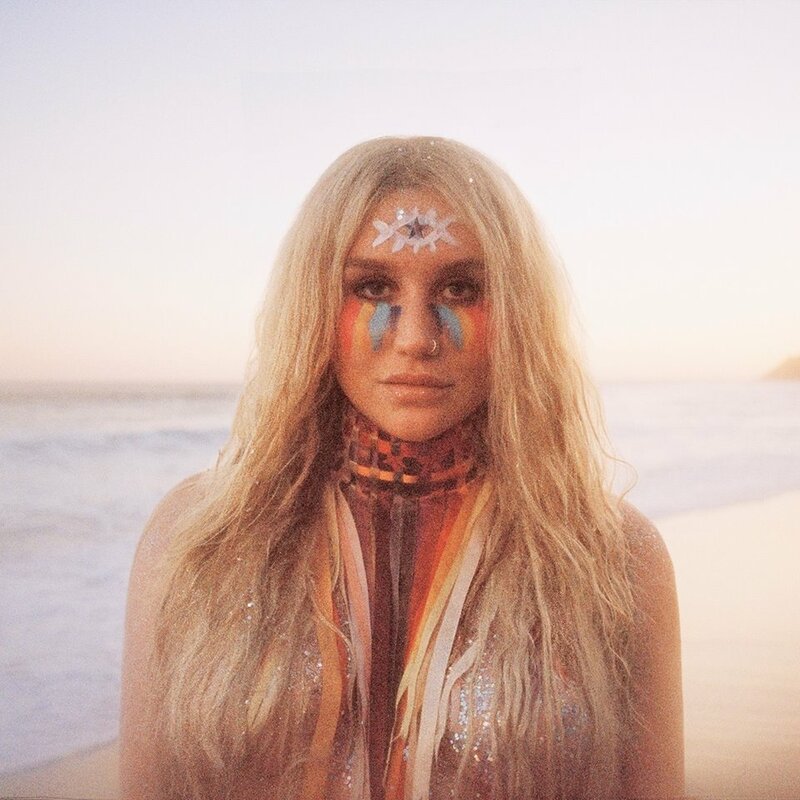 Releasing a Lenny Letter in conjunction with “Praying,” Kesha outlined exactly what this sonically exposed and lyrically straightforward composition represents and means to her, in the face of having released no new music in nearly four years. While the track does no name dropping or orthodox narrative spinning, the source of Kesha’s emotional turmoil, and challenges with anxiety and depression, have been all but fully public knowledge, thanks to the media coverage surrounding the singer’s legal conflicts with former producer Dr. Luke. Furthermore, with the understanding that those conflicts encompassed exploration of sexual assault, it becomes clear that even if not one person outside of Kesha herself heard this new recording, and even if it never saw the public light of day, “Praying” could exist solely as a channel of mental and emotional release and “succeed” fully in its purpose of supporting Kesha in arriving at a better psychological and emotional place. Therefore, even though we as a living, breathing, and constantly changing court of public opinion can offer up reactionary thoughts once something is presented to us, is there even really a point to dissecting this kind of work from an analytically traditional vantage point? One wonders, to some extent, why a song such as “Praying,” which is presented alongside Kesha’s own elaborate context, thus removing speculative ambiguity, doesn’t get a pass for immunity from public or conventional criticism in the same way a collaborative song for charity or one written in the wake of a disaster, tends to be observed just for its altruistic designation. Where does the line get drawn for music deemed safe from traditional scrutiny and music that’s applauded but still deemed justifiable for critique? Pre-orders are open now for Kesha’s upcoming album release, Rainbow, due out 11 August 2017. Copyright Throw the Dice and Play Nice 2010. All rights reserved.